When it comes to television ads targeting older Americans, hearing aids, Viagra and prescription drugs tend to be at the top of the list. If there’s a bank ad on TV, it tends to focus on mobile apps that appeal to millennials. It may deal with the easy transfer of funds or the ability to halt the use of a debit or credit card if it’s lost or stolen. National bank ads don’t target seniors even though they’re a big part of their depositors. Some 19 percent of account holders are seniors. With so many retirees in Southern Nevada, it raises the question whether local banks are neglecting seniors in their push to satisfy millennials. After all, while millennials are the future, boomers hold the wealth today. The issue was raised nationally in a column in American Banker by Kevin Tynan, a senior vice president of marketing at Liberty Bank in Chicago. He says that’s the case with a push for mobile banking by some of the biggest banks in the nation and subsequent closure of branches that seniors prefer to use as a way to help fund the cost. In banking literature today, seniors have been forgotten for the most part with exceptions where there pockets of older population bases like Nevada, Tynan said. Tynan points fault to the biggest national banks rather than community banks, which he said are still oriented toward seniors and have a customer base 10 years older. It wasn’t that long ago that those 55 to 65, who Tynan called pre-seniors, were the most sought after customers by banks. What happened, Tynan said, was with the advent of online and mobile banking, large banks found it cheaper to invest in mobile banking features appealing to younger customers. A typical mobile banking transaction may cost them 2 cents compared to 50 cents for a smaller community bank. Some 18 percent of seniors use mobile banking compared to 67 percent of millennials, he said. “The efficiency of scale makes it cheaper for them to cast a broad net to attract millennials and keep those willing to pay the higher service fees typically charged by larger banks,” Tynan said. 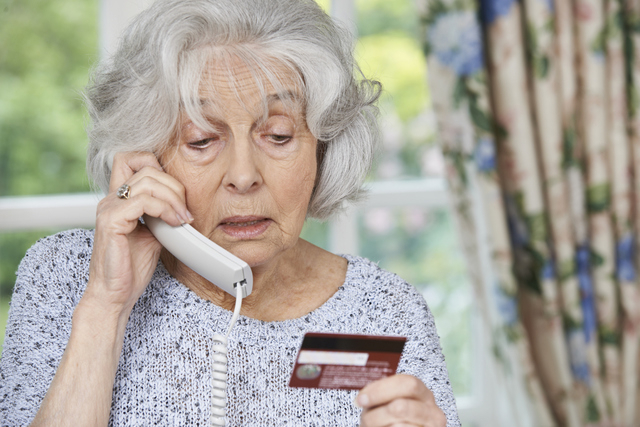 Some 43 percent of seniors find it harder to use online banking, Tynan said. The web designers tend to be younger and don’t consider loss of vision or coordination and it’s even worse for mobile apps. A website design firm found, for instance, that the success rate among seniors for completing an assigned task online is about one-third less than 21-to-55-year-olds (55 versus 75 percent), Tynan said. Phyllis Gurgevich, president and CEO of the Nevada Bankers Association, said what Tynan is talking about hasn’t been evident here. She said Nevada banks continue to offer traditional banking but have added digital services without comprising service. That was echoed by Terry Jorde, senior executive vice president and chief of staff with the Independent Community Bankers of America. A former community bank president, Jorde said people shouldn’t be concerned about seniors being neglected by community banks, many of which offer free checking to them. Baby Boomers have inherited about $12 trillion from their parents, and they’re set over the next 30 years to pass on about $30 trillion in wealth to Gen Xers and millennials, Jorde said. That’s causing people to realize banks have ignored the children of baby boomers who have the wealth. “We have to position ourselves that we have a relationship with that next generation as well,” Jorde said. If seniors are so important, should anybody consider opening a bank catering to them?